Medtech is an important growth industry for NSW, Austrade led an Australian delegation of medtech providers to the United States. 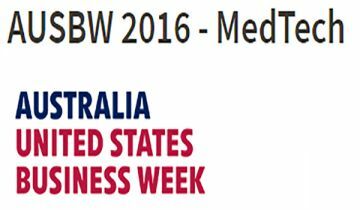 Earlier this year Austrade led an Australian delegation of medical technology (medtech) providers to the United States (US). The purpose of the delegation was to learn from experts on best practice approaches to medical technology, particularly for financing and commercialisation. It was also to connect research organisations, investors and companies together and for Australian firms to engage with the global medtech supply chain. Australia has made important medical discoveries, with companies such as Cochlear, Resmed, Nanosonics and Sirtex, which grew out of Australian innovation and are now global companies with significant operations in the US. The challenge for NSW and Australia is ensuring that research can be commercialised and attract venture capital. At an event in Boston, Australia’s Ambassador to the US spoke to American and Australian medtech leaders. Globally medtech is expected to grow with an ageing population and increasing life expectancy globally requiring more medical technology. Medtech is therefore an important growth industry for NSW. In 2014, the Australian medtech industry exported goods to the value of $2.23 billion. The majority of the Australian medtech industry is located in NSW (55%). One example of NSW’s medtech exporter is Atomo Diagnostics. George Sidis of IDE Group is on the board for Atomo and participated in an Austrade medtech delegation. Atomo Diagnostics, based in Sydney’s inner west, is a leading medtech company exporting rapid test products to Africa for both professional use and self-testing. The kits are a vital diagnostic tool particularly in those countries with high HIV rates.